Does cognitive control operate globally (across task sets) or locally (within a task set)? 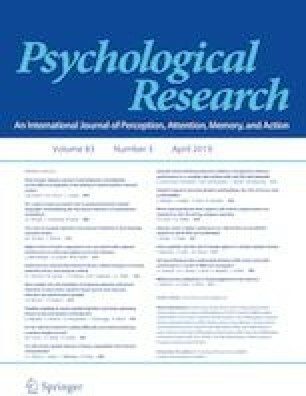 Recently, two of the current co-authors (Hazeltine and Schumacher 2016; Schumacher and Hazeltine 2016) proposed that humans represent tasks as task files: hierarchically structured, compartmentalized subsets of our current goals and motivations, task instructions, and relevant stimuli and responses that are selected during task performance according to associated contextual rules. Here, we hypothesize that these task representations bound the implementation of cognitive control at distinct levels of this hierarchical structure. To investigate how task structure influences the implementation of control processes, we conducted a pair of experiments that utilized a precuing procedure. To manipulate task structure, we gave participants mappings in which two stimulus sets were either mapped so that each set was separated by response hand or both sets were interleaved across hands. In Experiment 1, participants responded to sets of images distinguished by their semantic category; in Experiment 2, they responded to sets based on different perceptual features (viz., location or color). During each experiment, precues could give information about the stimulus category or response hand for the upcoming target. The results indicate that participants with separated mappings represented the task hierarchically, while those with interleaved mappings did not. This pattern was consistent across experiments, despite the differences in the way that each set of stimuli influenced representation of the low-level task features. These findings suggest that task structure can be represented hierarchically, and that this structure supports distinct cognitive control processes at different hierarchical levels.